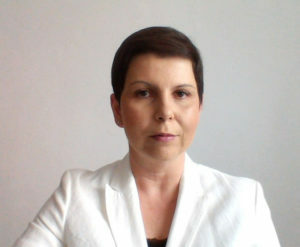 Ioana Anda Balasa is attorney at law and a member of the Bucharest Bar Association. She has a bachelor’s degree from the University of Bucharest, and a master’s degree in European Law at the same university. Ioana was a member of the European Law Students’ Association for four years, emerging as one of the local leaders’ associations. She is also a certified legal-trainer with a broad experience in litigation and consultancy, having worked with top tier law firms of various profiles. Her competences include fields such as real estate, insurance, competition, labor, commercial and consumer law. She provides assistance in developing dispute resolution strategies and represents clients before the courts of law, in civil, commercial, administrative proceedings, including fiscal challenges. Ioana advises and pleads in Romanian and English, and Independent user communication level, in French. 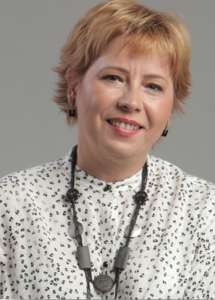 Daniela Cretu is a Senior Consultant and an active member of the Romanian Business Leaders Foundation and Professional Women Network. Her expertise lies in a variety of tasks, such as: correlating general business strategies with operational capabilities to create focused and applicable implementation programmes, managing operational, organizational and cultural change programmes, always observing the specific corporate values and features within time and resources constraints. Daniela’s main areas of expertise also include change management, project management, operations management, strategic management, people management and development (coaching, training, mentoring, and facilitation). A pioneer in project management activities in banking industry, she has helped several major organisations deliver results beyond expectation, both in terms of financial and cultural changes. One of her major ingredients of success is the ability to build, lead and coach teams designed to achieve high and consistent results. 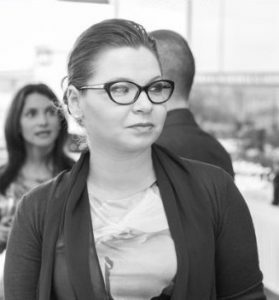 Amanda Daflos is the Director of the Mayor’s Innovation Team in Los Angeles. Her team is one of nineteen teams in the world funded by a Bloomberg Philanthropies grant and is focused on addressing complex city issues using data, user research and fast paced project delivery tools. Amanda also leads the Mayor’s work on Gender Equity and has helped the City move toward gender parity in City Operations and has delivered ground breaking projects like the Inaugural State of Women and Girls and Young Women’s Assembly, the Small Business Portal, the Rent Stabilization Awareness Campaign ‘Home for Renters’ and the Los Angeles Index of Neighborhood Change. 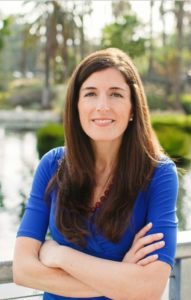 Prior to her appointment by Mayor Eric Garcetti, Amanda worked at Deloitte Consulting for ten years where she rose from Consultant to Senior Manager in the Public Sector Practice and worked on federal, state and local government projects in the US and abroad. Her work focused on business process optimization, strategic planning, civic innovation, organizational redesign, cost savings, change management and IT transformation. Prior to joining Deloitte, Amanda was the Director of Programs for an international non-profit organization where she was responsible for programming and operations in the US, Tanzania, Peru and Nepal. She presently serves as a Deputy to the Los Angeles Honorary Consulate General to Nepal, a role she accepted in the wake of the 2015 earthquake. Amanda holds a Masters of Public Administration from the University of Colorado and a BA from Hamilton College. and creativity skills during her 5-year work with both startups and NGOs. considerable experience in fundraising area. 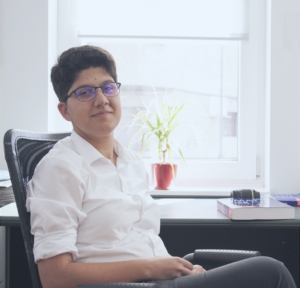 Alina Draghiciu is Marketing Manager in IT business, has a bachelor’s degree from the University of Bucharest and a management degree from the National University of Political Studies and Public Administration (SNSPA). She provides consultancy in marketing management, digital development projects, and in the areas of expertise which cover change management and education. Alina worked as project manager on several international projects, and speaks three languages, Romanian, English, and French. A strong believer in moral and ethical values, she is eager to participate in projects concerning social resposibility issues, which represent the perfect blend between her educational and ICT expertise. 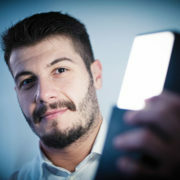 Dimitris Kokkalis is an expert in the area of education and training EU funded projects (e.g. Erasmus plus programme), and is providing consultancy to various organizations in relation with EU funds. Dimitris studied German philology at the universities of Athens (GR) and Würzburg (DE) and he holds a postgraduate degree in European Studies (MES) from the university of Aachen (DE). For several years Dimitris worked for EU management structures and institutions in the areas of education and research funds management. His past work dealt with the development and implementation of EU policies and programmes for international cooperation (edu & training)– with expertise in project and process management, relations with stakeholders, policy and data analysis among other. He speaks fluently four languages (Greek, German, English, French), and has a basic knowledge in Dutch and Spanish. 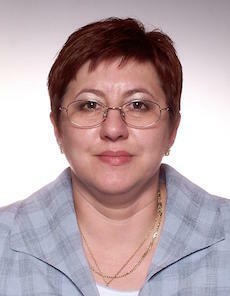 Irina Alina Pricop is General Counsel, member of the Bucharest College of Legal Counsels. Bachelor’s Degree in General Law with specialization in International Law (NATO – a general view, 2000) at the University of Bucharest. Broad experience in civil, commercial and criminal law, with specific accent on real-estate, contractual and insurance law. For over 5 years, General Counsel for CEE in a prestigious real-estate company, currently General Counsel for Romania & Italy for a Bulgarian insurance company where, among others, coordinates the litigators’ & the GC correspondents teams. Competences include a wide range of operations such as legal & business consultancy, legal & business due-dilligence assessments & reports, business & financial long term strategies, assistance in and development of dispute resolution strategies as well as representation in courts of any jurisdiction, if the case. Irina advises and pleads mainly in Romanian, as mother tongue but also in English, Italian and Spanish at the highest proficiency level, having intermediate communication skills in French. Catalin Stelian-Shanks is a Communicator, an Educational Trainer and much more– his knowledge is spread accross a wide spectrum of activities, among which PR, ICT, Film/Video editing. He was an Assistant Professor at Hyperion University in Bucharest, Romania, and his work covered activities where artistic creativity was always present. With a BFA & MFA in Acting, and a MA in Theatre Pedagogy, Catalin is SRDA’s youngest Consulting Associate and member. 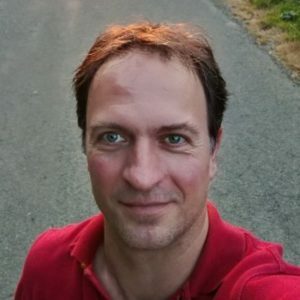 He is an active team player and expert, involved in many areas of the on-going PAL project. His collaboration with Mindbright Inc is also extensive and fulfilling.